Now the Ogre is back . . . in a gigantic new "designer's edition" that will be the crown of any game collection. 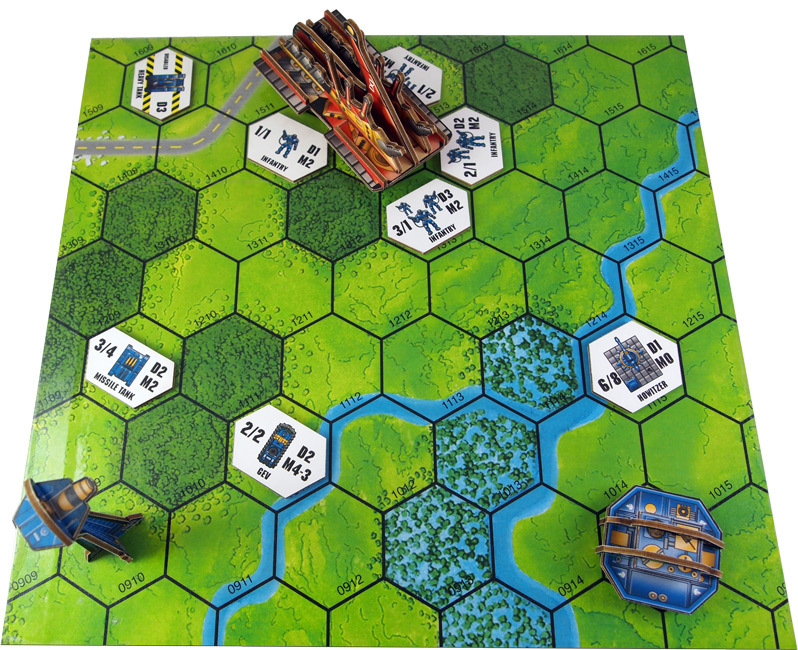 The rules from the original Ogre and G.E.V., plus material from later supplements, have been completely revised and reorganized into a rulebook, a separate scenario book, and a handy player reference sheet. 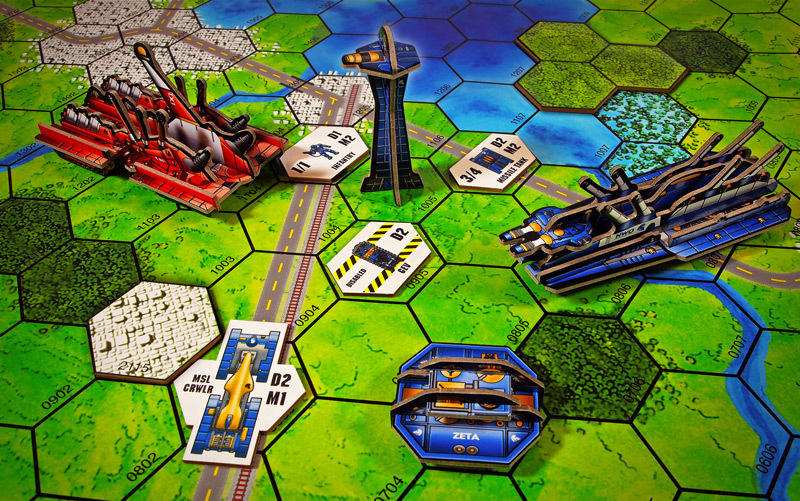 The game features 5 giant mapboards . . . more than 500 oversized full-color unit counters . 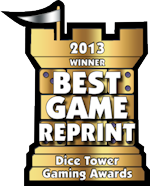 . . plus 72 Ogres and buildings, which are 3-D constructible models! 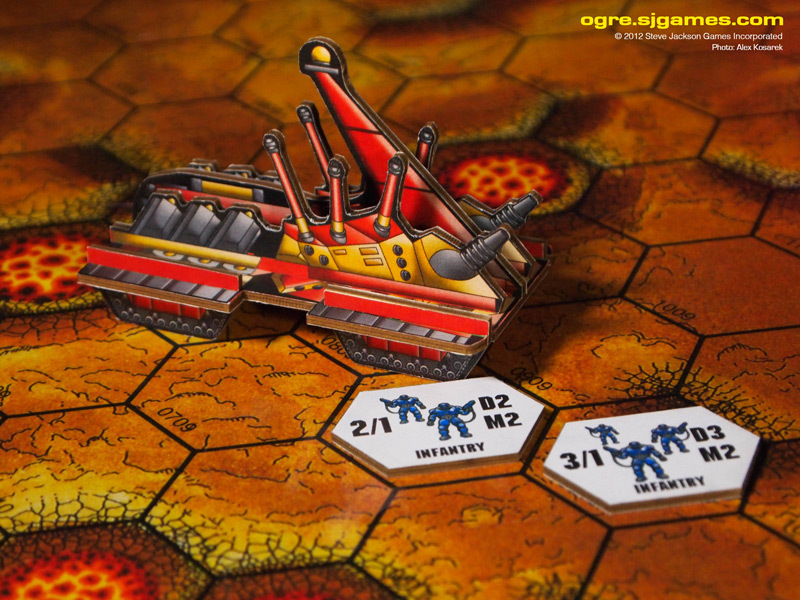 Yet Ogre is still easy to learn and quick to play. The basic game takes only a half-hour . . . but you'll want to play again and again. And, with the geomorphing maps and hundreds of new overlays, an infinite number of scenarios are possible. Some of our Kickstarter backers have made Sponsored Counter Sheets. Check them out! 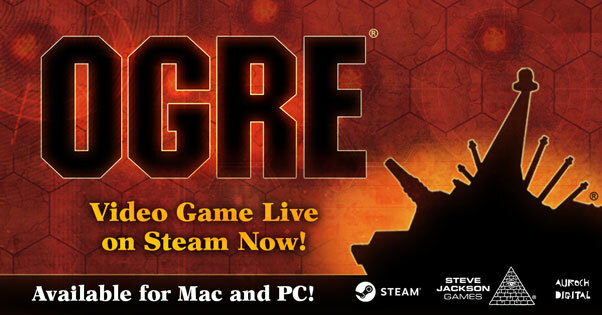 For a more portable version at a historically low price, grab Ogre Pocket Edition! Wear the cool retro Ogre T-Shirt to your next game! Get your arms ready for this Ogre 77th Brigade Patch. Ogre is here, and we celebrated! Find out about the Ogre Launch Party here. Looking for stores or Ogre gamers in your area? Use our very own Gamer/Store Finder! Steve Jackson and Phil Reed appear for a follow-up podcast interview on That's How We Roll. 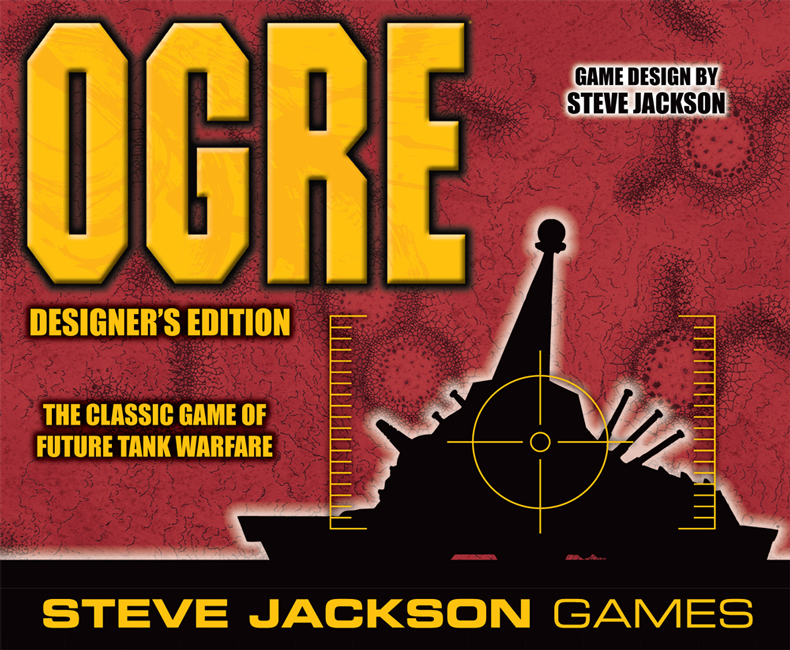 GeekDad Interviews Steve Jackson about Ogre on Kickstarter. 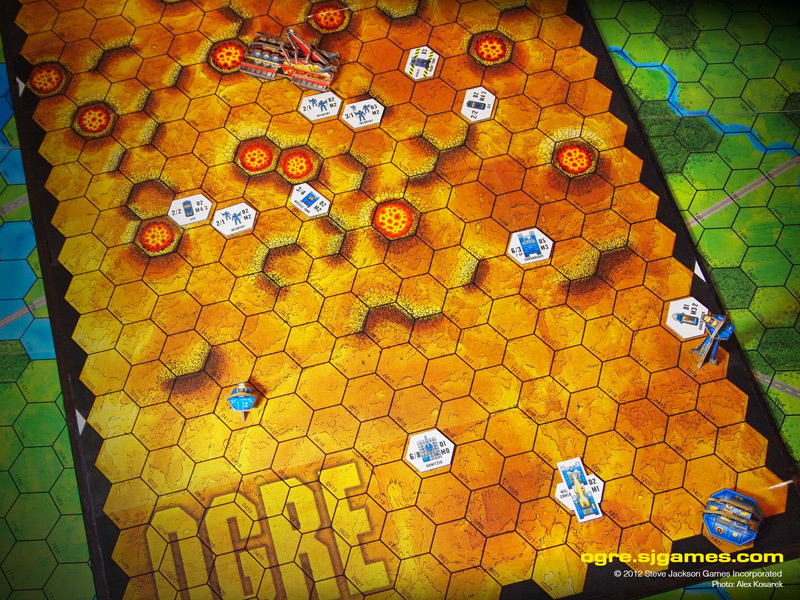 MTV Geek talks about Ogre's Kickstarter success and discusses the game's components. 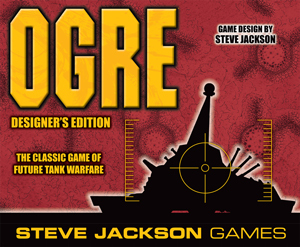 ICV2 notes Kickstarter record and new edition of Ogre. 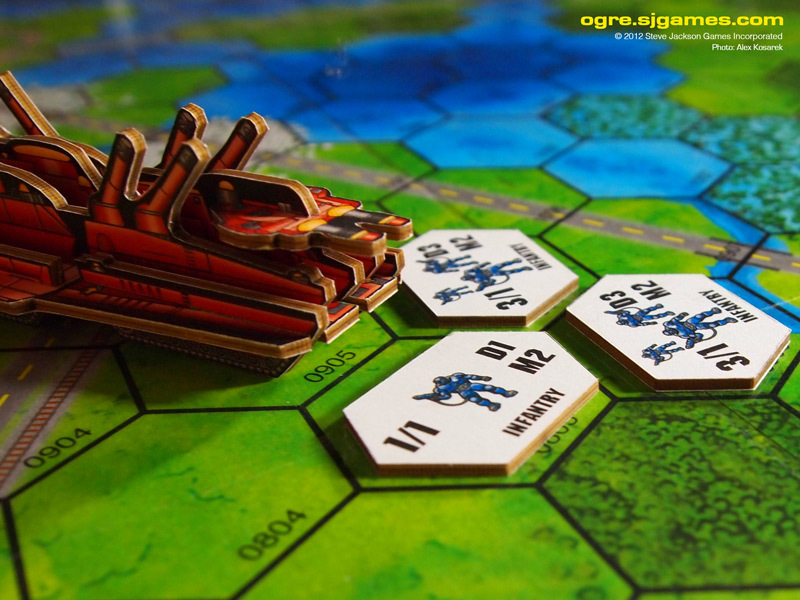 Visit the Ogre Sixth Edition on Kickstarter to read the latest information. That's How We Roll podcast spoilers about Ogre with Fred Hicks, Chris Hanrahan, Phil Reed, and Andrew Hackard at PAX East.